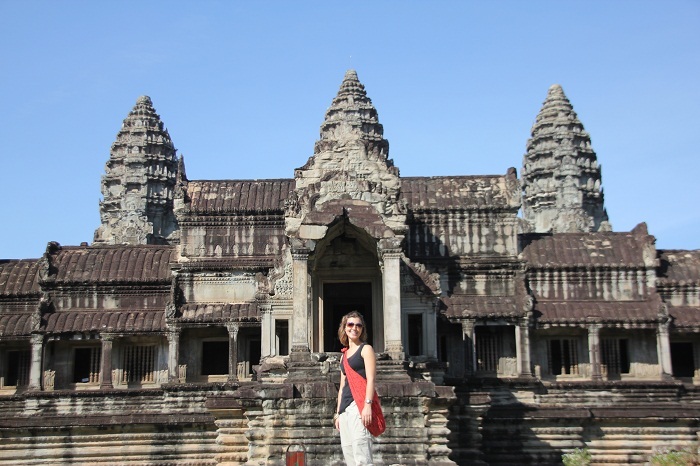 Our trip to the ancient temples of Angkor Wat brought us to another incredible architectural destination. 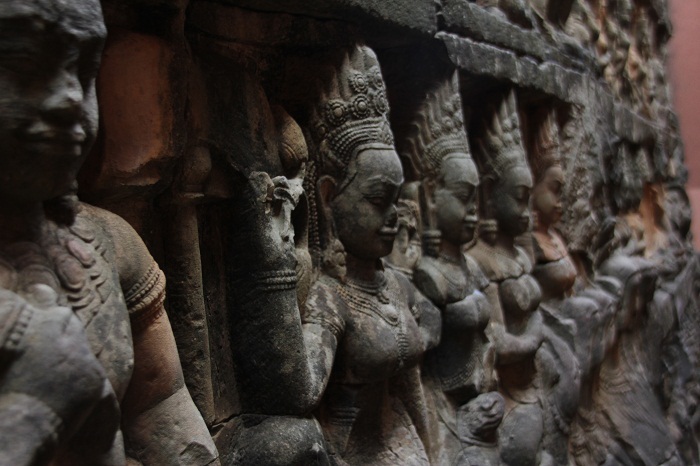 Located in Siem Reap, Cambodia, Angkor Wat is the largest religious structure in the world. 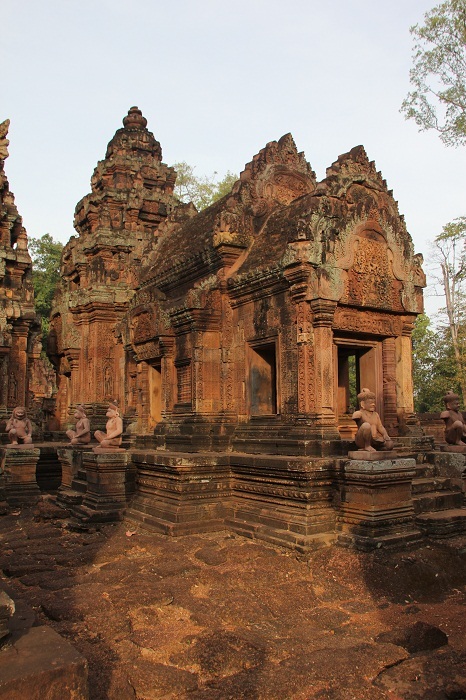 When the temples were built around 1100-1300, they were originally Hindu religious structures. 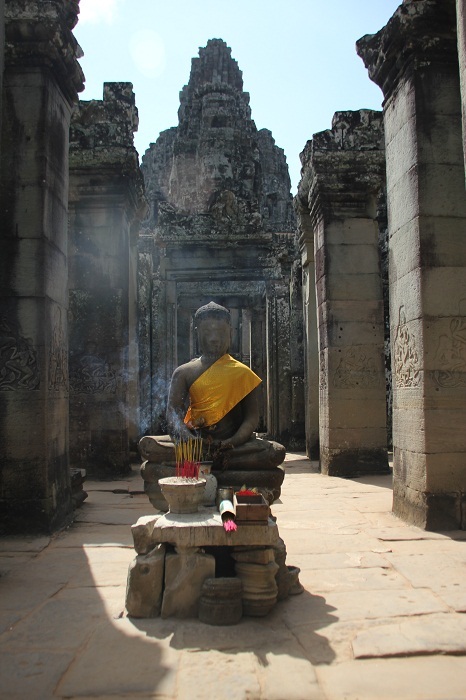 In the late 1300’s they were converted to Buddhist structures. 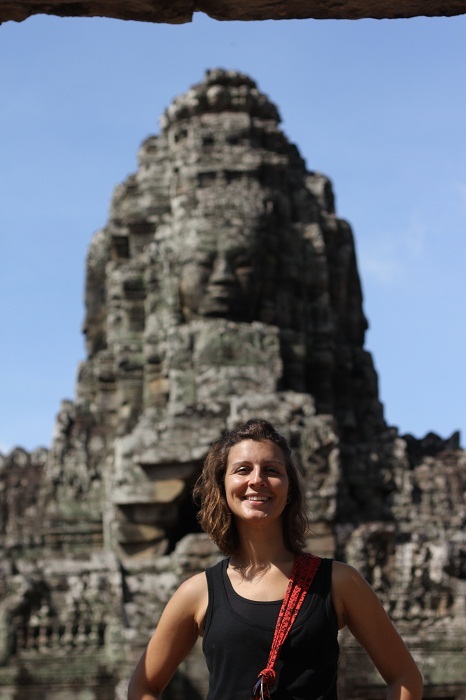 Dana and I toured the temples for a solid three days, crawling through ancient ruins, fighting off mobs of tourists, and trying not to sprain any ankles on the steep steps. 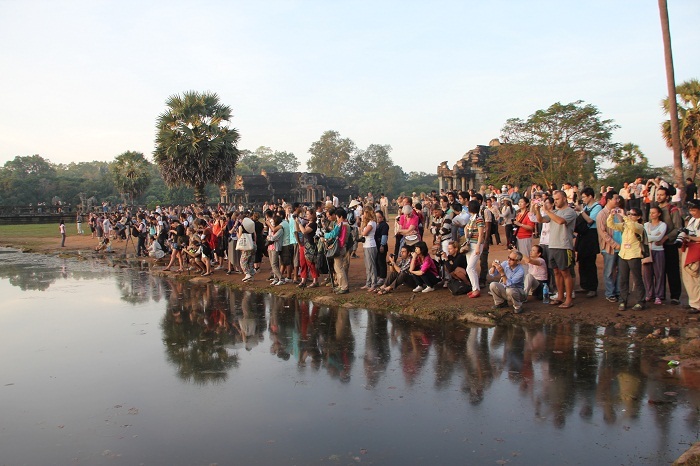 We started out visiting Angkor Wat attempting to see the sunrise, along with what seemed like 50,000 other tourists. You would think waking up at 4:00 am would be enough of a deterrent to keep at least a few people away. Nope. The place was packed. 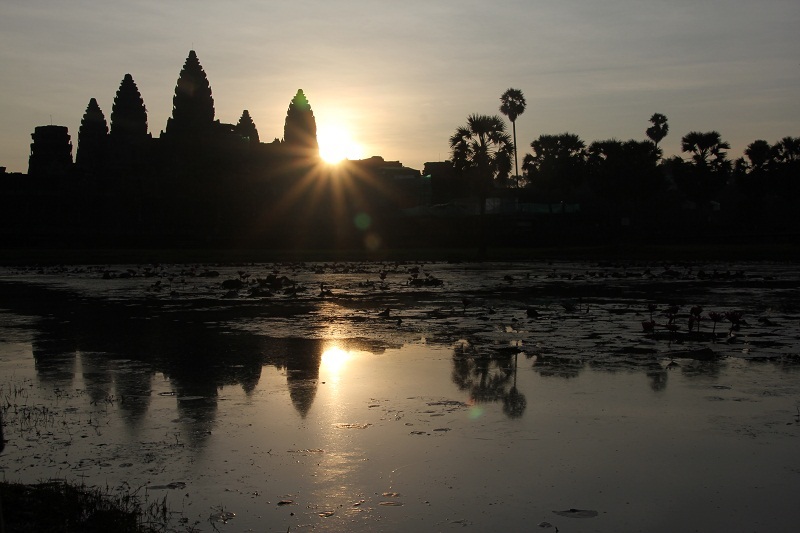 As soon as the sunrises, everyone disperses to see the dozens of other temples available to see. We stuck around and got some great pictures. 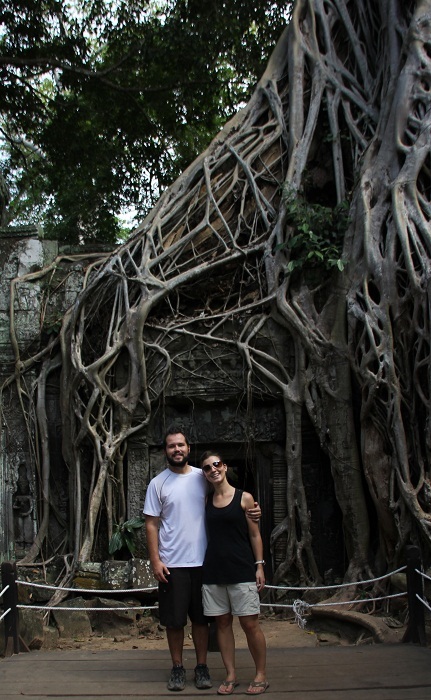 This temple was used in the movie Tomb Raider and in my opinion had the coolest, most ancient look to all of the temples we visited. 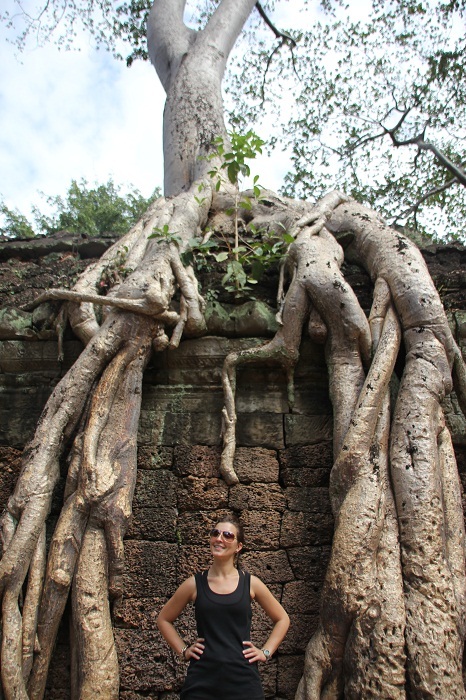 Massive tree roots framed doorways, crushed walls, and held walls together. Aside from a few areas being roped off, crawling through the tiny doorways felt like the closest to being in an Indiana Jones film, even more so than Petra. 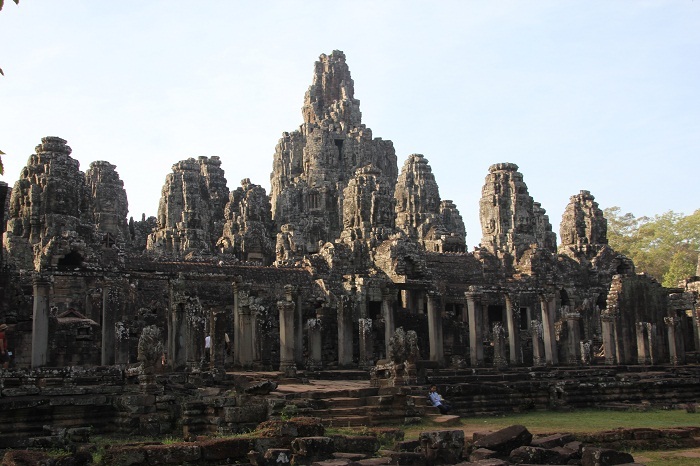 Although this is an obscure and incorrect reference, the temples of Bayon reminded me of the nineties Nickelodeon game show, Legend of the Hidden Temple, and the host of the show, an ancient stone face named Olmec, who was from Central America. I mean, take a look at some of those faces! I pretended to do the voice over next to them, and Dana thought I looked ridiculous. Can you spot all 54 smiling faces? 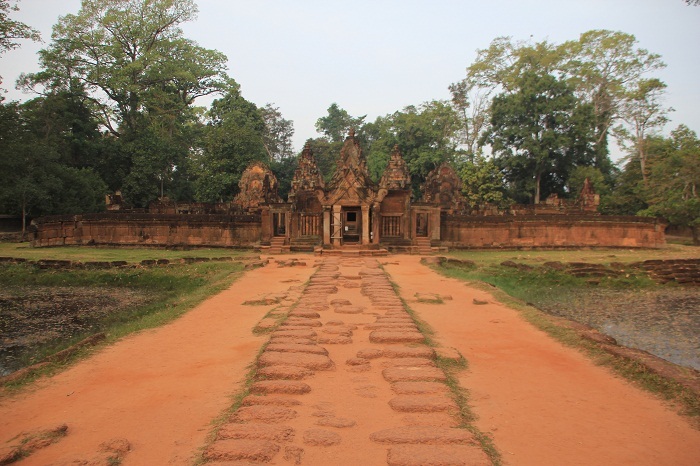 This temple was the furthest away from the others temples. It is the smallest one, but is considered the most well-preserved. 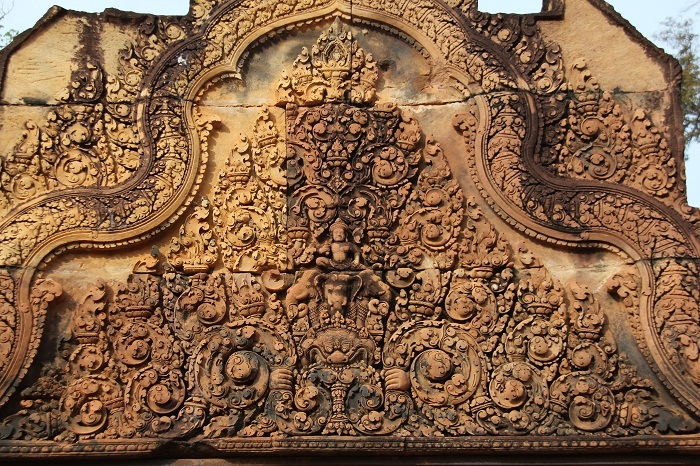 It had a very unique look, being carved from red sandstone. 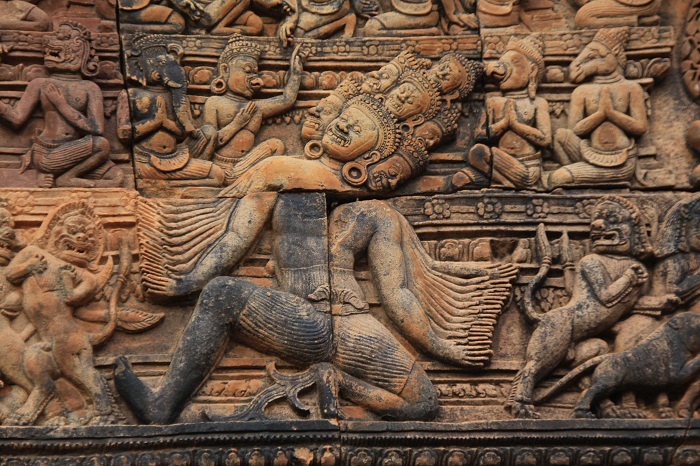 A crazy Hindu god from their underworld, complete with 20-some arms, and over 10 heads! 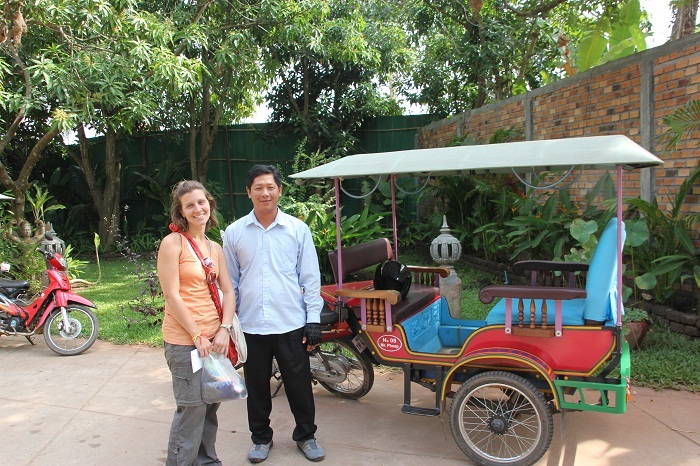 And last, but certainly not least is a picture of Dana with our trusty driver for the three days around Angkor Wat, Mr. Pheap. 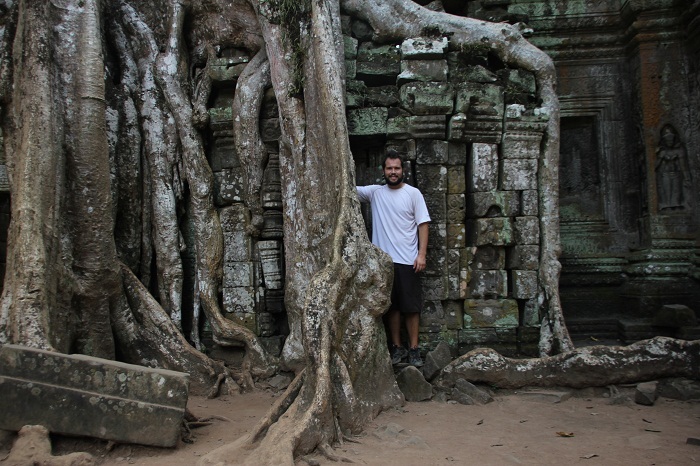 We met him in the town of Siem Reap our first day there and he got us every place we needed to go. 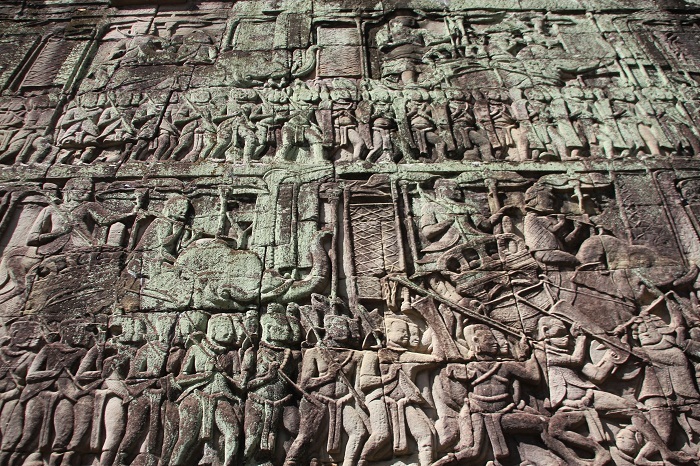 As some of the temples are over 25 miles away from the main temple of Angkor Wat, he definitely made things as hassle-free as possible. 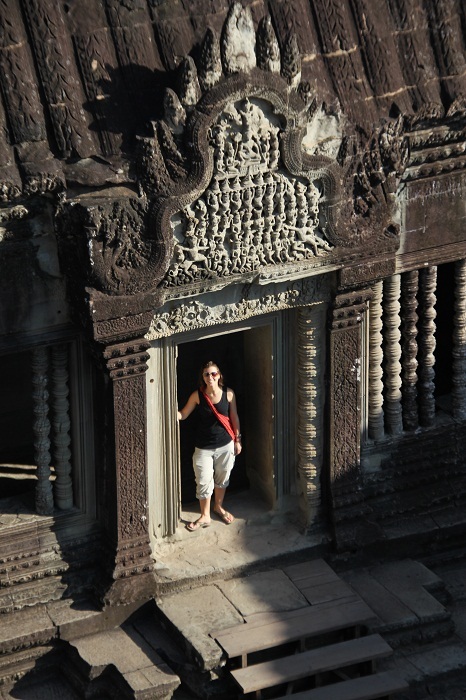 This entry was posted in Cambodia and tagged Angkor Wat, Cambodia, Siem Reap, Travel. Bookmark the permalink. 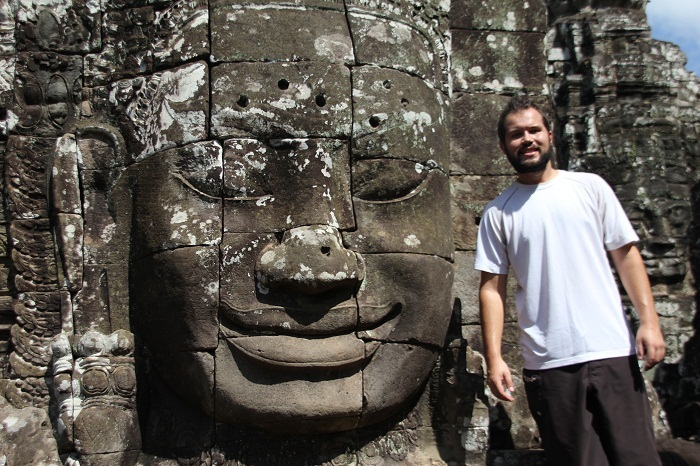 2 Responses to Angkor’s Aweigh! Uh yeah, that’s totally Olmec!